The Ladies have been with us a little less than 3 weeks. We've been supplementing them with organic cane syrup until they become more established, i.e. 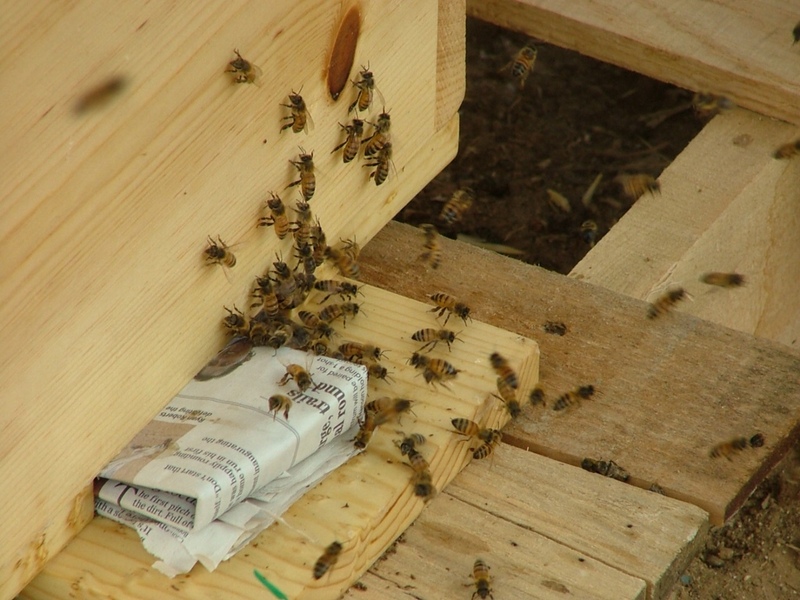 new bees are born providing more foragers and a stronger, sustainable hive. We should begin to see the "newbees" taking their first orientation flight in the next week or two. 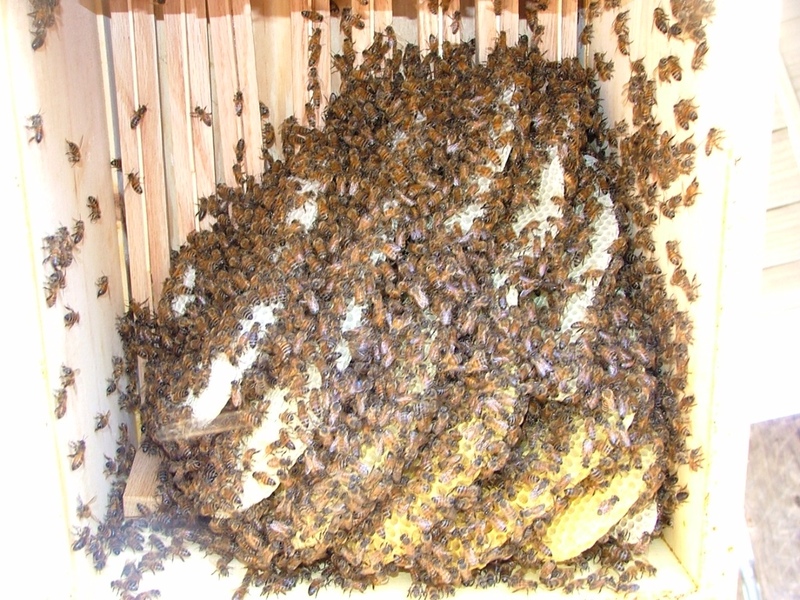 In preparation for the expected growth, we added a new box to their hive and took a quick peek to see how they are doing. As you can see, they have decided to not follow the frames we made. Busy bees caring for their hive and building brood comb for the queen to lay eggs in. We've chosen to let our bees draw their own comb because this gives them the freedom to make their brood cells naturally smaller. Smaller cells mean they stay their God given size making it easier for them to fly and and close the brood cells a day earlier keeping thorax mites at bay. The queen lays 1000 eggs a day. 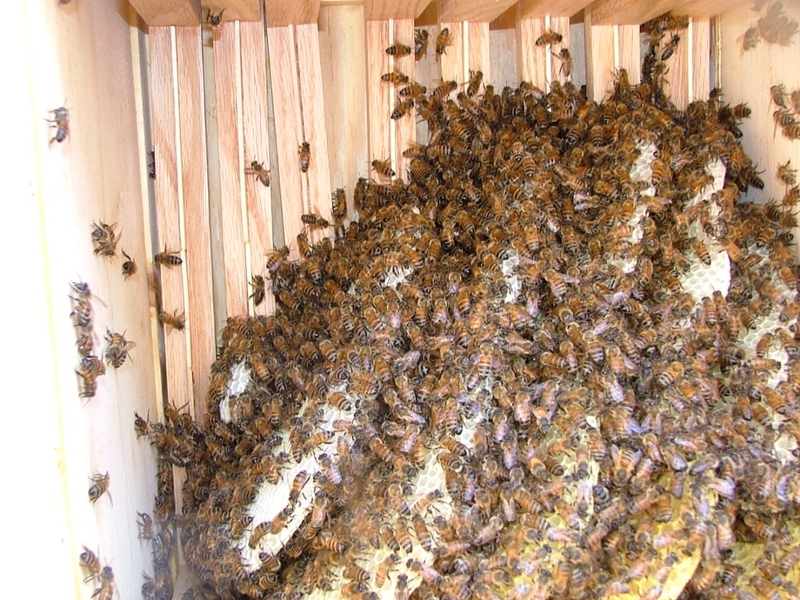 The eggs are layed in the center of the comb with the pollen and nectar stored around the edges. As the hive grows and prospers, surplus honey is stored above the brood hives providing nourishment when the weather turns cold. Honey bees draw from their honey reserves when it's cold, windy or raining or when there's no outside food source available. We have reduced the hive entrance so the bees don't have such a large area to defend. As the colony grows we'll open it up. The more I study and sit in my chair out by the hive, watching the comings and goings, watching as they gather pollen and nectar from flowers, I am truly smitten by our amazing honey bees . . . Over at Julie's!! !